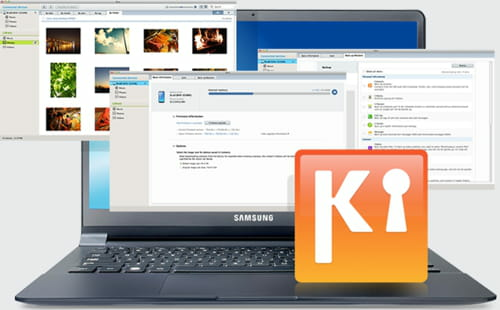 Samsung Kies is a program that allows you to transfer files and synchronize data between your Samsung mobile device and your computer. The software can sync anything from contacts to music playlists and photos from third-party applications like Google and Microsoft Outlook. During file transfers, Kies creates a backup of each file, maximizing the possibility to recover any accidentally lost data. Internally, Kies enables you to manage your multimedia files, including the option to display images as thumbnails, play audio and video files, manage photo albums, and create slide shows. Latest update on February 22, 2018 at 10:25 AM.